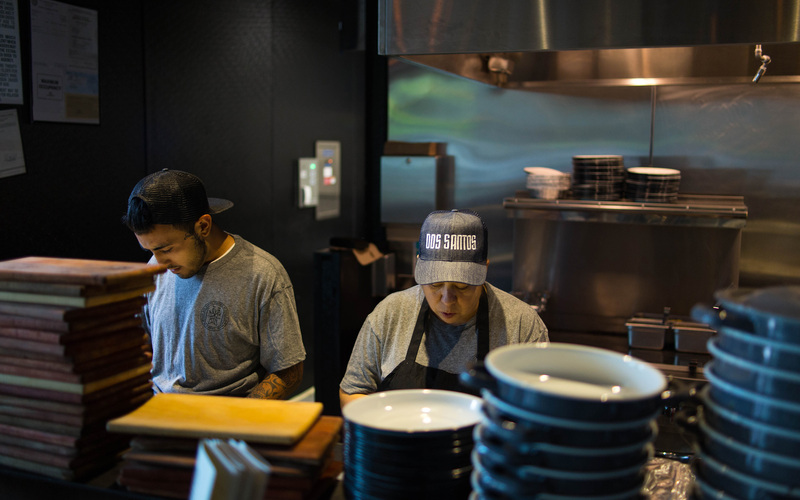 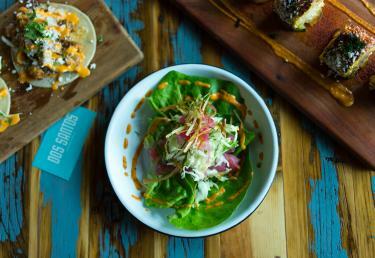 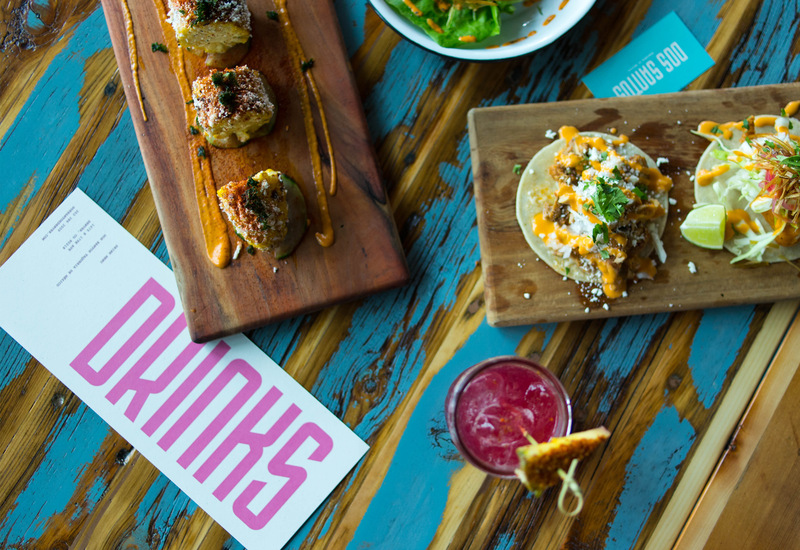 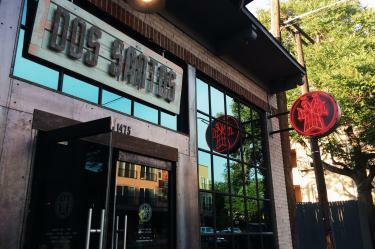 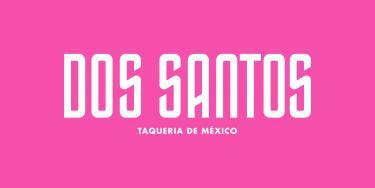 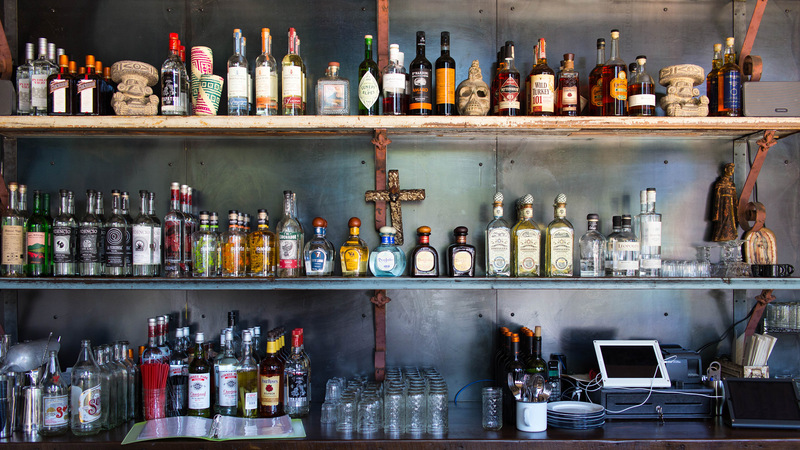 Dos Santos brings the bright colors and exciting flavors of Mexican street food to Denver. 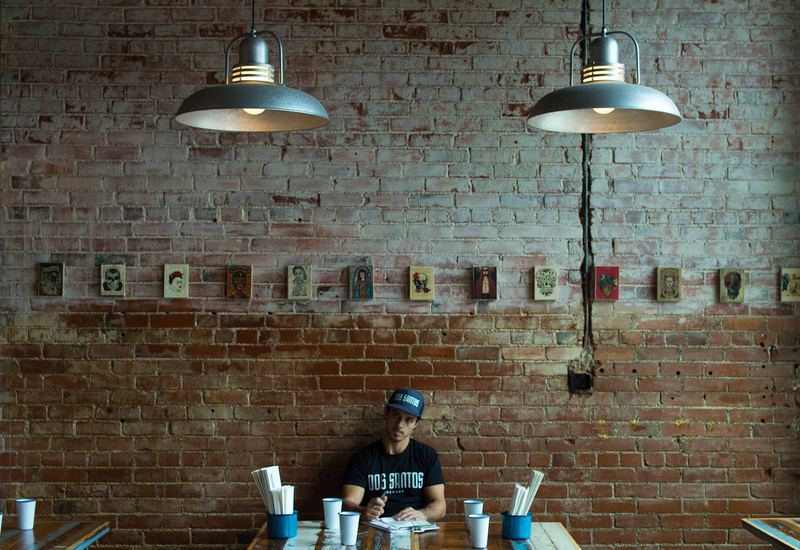 After opening two successful restaurants in Mexico, the Wallenta brothers set their sights on sharing Mexican authenticity with America. 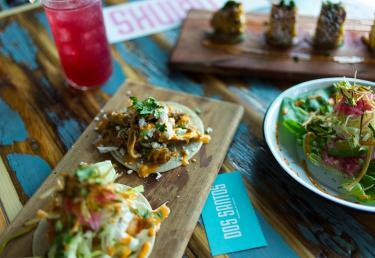 It was important to the brothers to pair their experiences with Mexican street food and the historic, industrial roots of the new space in Denver. 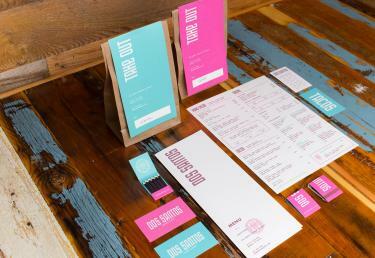 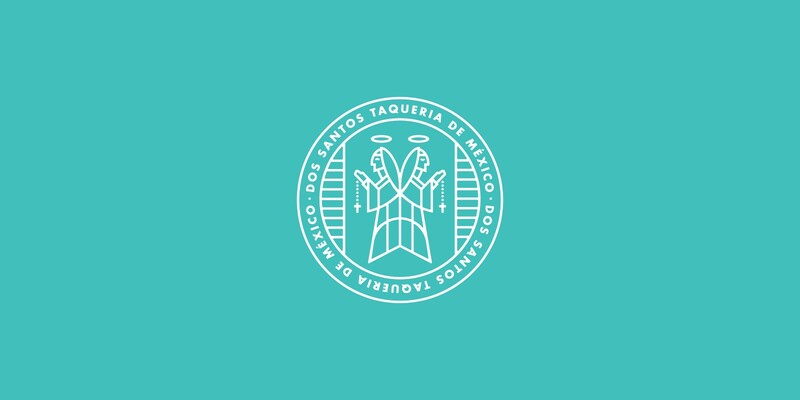 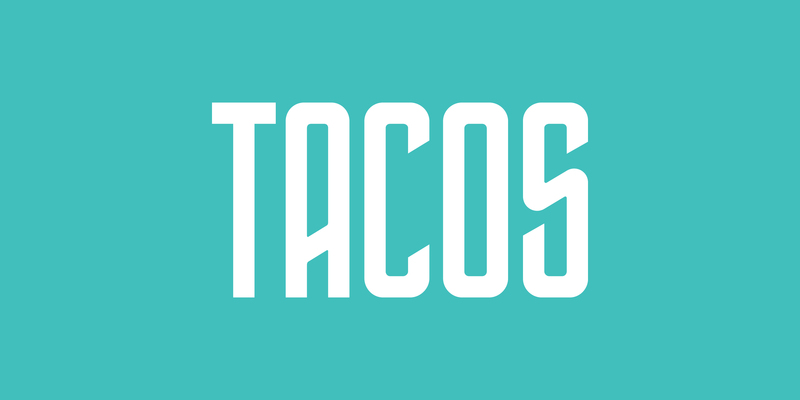 A modern take on a graffiti motif was chosen to blend these concepts and set Dos Santos apart from the other taco shops in their market. 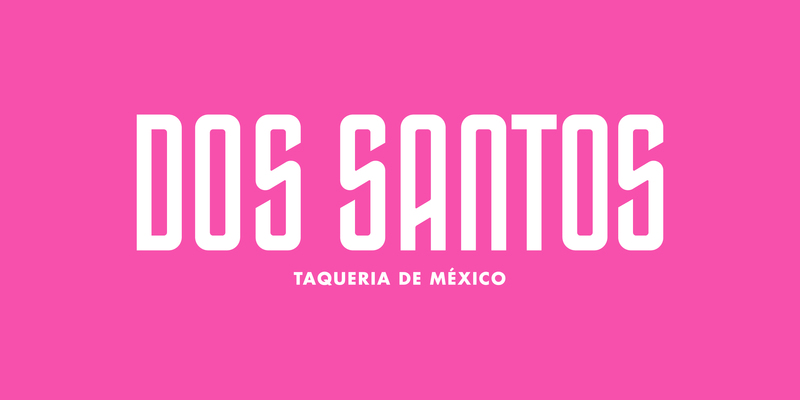 When developing the core identity for Dos Santos, we first created a fully custom wordmark based on a vintage graffiti style. 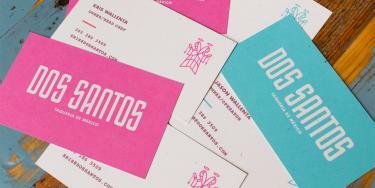 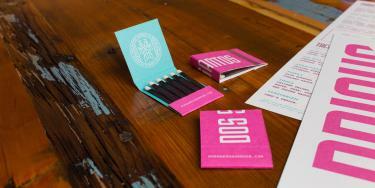 We then created Dos Sans, a fully custom, display typeface derived from the wordmark. 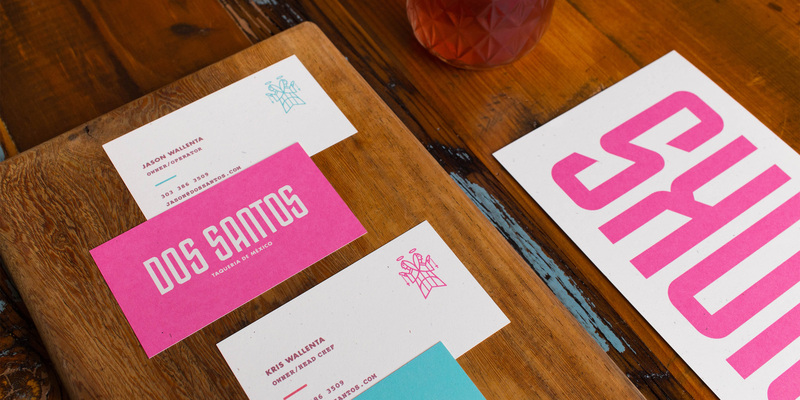 The Wallenta brothers’ love of soccer was at the center of visual explorations for the Dos Santos collateral. 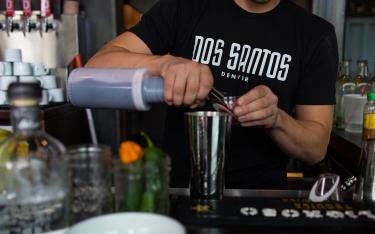 The creation of a Dos Santos futbol crest and actual jerseys for the staff illustrates that love throughout the brand. 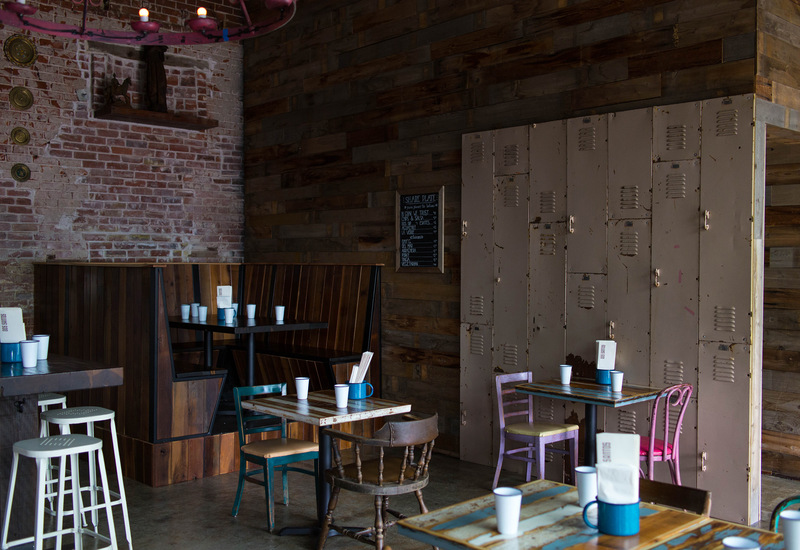 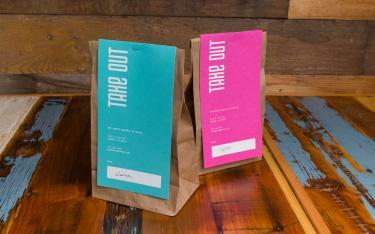 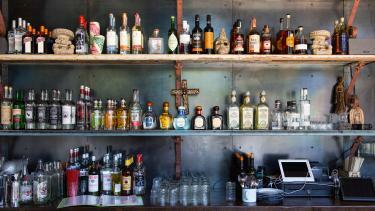 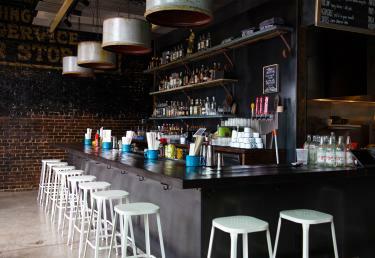 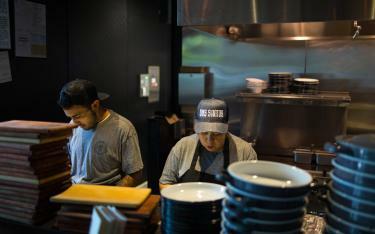 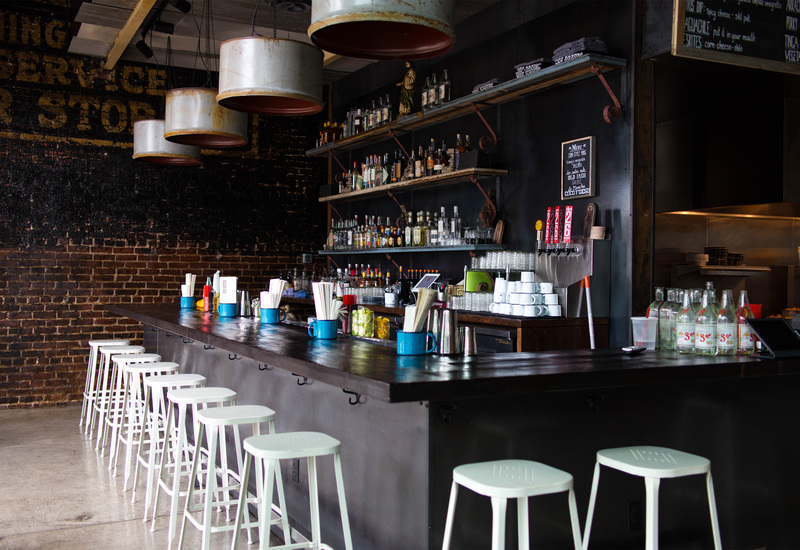 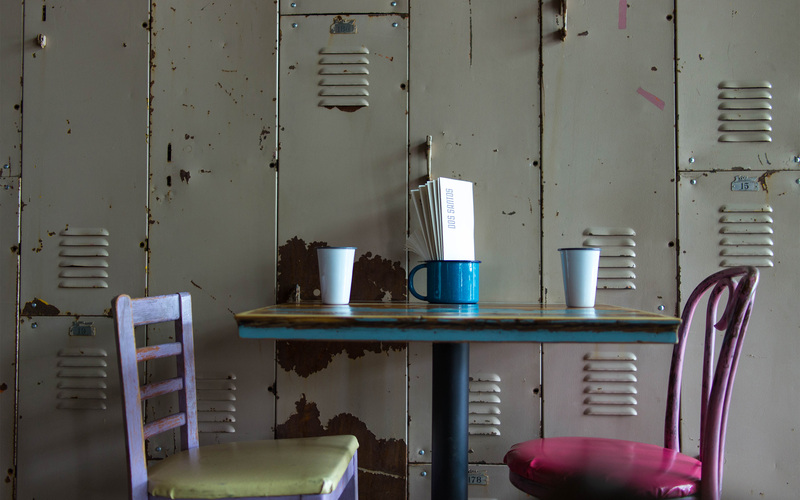 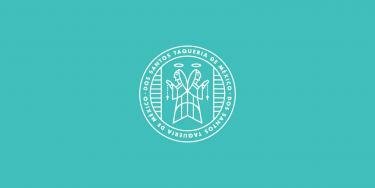 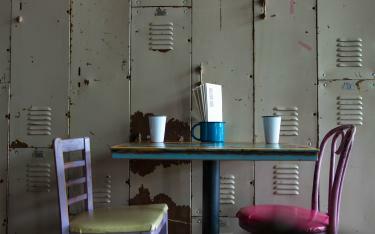 In the space, they combined the gritty feel of the Mexican taco stands with clean modernity.